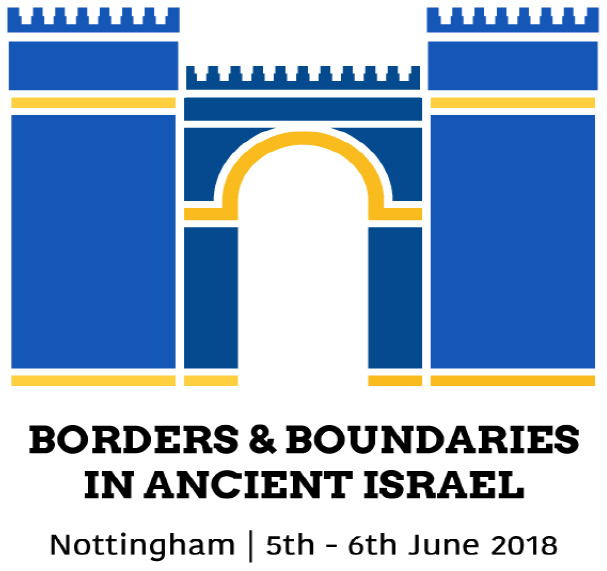 Abstracts are invited for a two-day interdisciplinary conference on the theme “Borders and Boundaries in Ancient Israel” to be held at the University of Nottingham, 5th-6th of June, 2018. Keynote addresses will be delivered by Prof. Christopher B. Hays (Fuller Theological Seminary, Pasadena, Ca. ), Prof. Mahri Leonard-Fleckman (Providence College, Rhode Island) and Prof. Shayna Sheinfeld (Centre College, Danville, Ky.). Abstracts of 250 words for short papers (c. 20 minutes), are welcome from any field of study that addresses the conference theme, including, but not limited to, Theology, Archaeology, History, and the Social Sciences. The deadline for submission of abstracts is the 15th March 2018. Interaction between Israel and Judah, or Israel/Judah and the surrounding nations. Inter/Intra-national movement of peoples, including migration, deportation and invasion. Studies involving literal, ritual, or metaphorical borders/boundary markers. The use of borders or boundaries in the construction of identity in the biblical texts. Any aspect of the relationship between territory/land/space and identity in ancient Israel. Abstracts should be sent to bordersandboundaries2018@gmail.com. Enquiries should be addressed to Cat Quine. A limited number of bursaries will be available for student presenters who would otherwise not be able to attend the conference. Application forms may be requested via email and bursaries will be awarded on the basis of need. Download and distribute the flyer here.